Daniel was born in 1987 and grew up in Suquamish, Washington. His mother is from the Suquamish Nation and has Sto:lo and Squamish Nation ancestors while his father is Cheppewa/Cree. Daniel always feels a strong tie to his culture as he was immersed in it from early childhood. 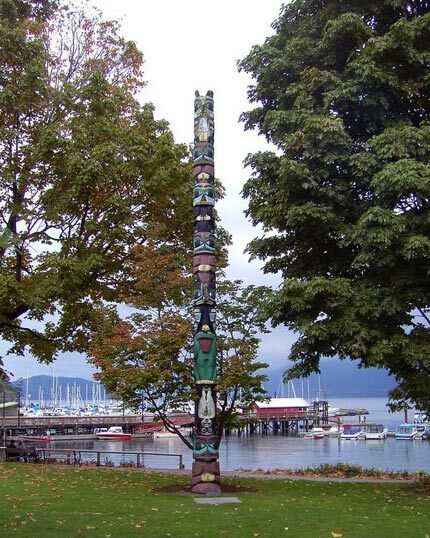 At the age of 15, under the apprenticeship of Kalpulk, Ray Natrall, he started carving cedar canoes. His community only had fibreglass canoes and he wanted to return to traditional ways. In total Daniel has worked on eight canoes, all before the age of 20. Working on the canoes was a great accomplishment for Daniel and his Nation but he felt there was still much to learn and began carving paddles and making drums – all necessary attributes for the tribal journeys which have had such a strong influence on Daniel’s life. 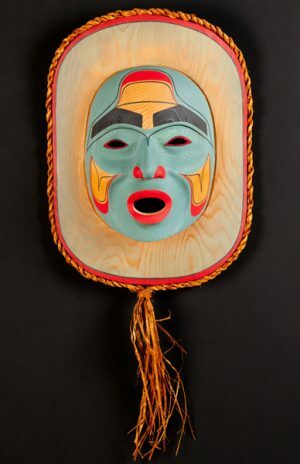 Daniel now lives in North Vancouver, British Columbia and has changed his focus to carving masks and is apprenticing under the watchful eye of Klatle-Bhi of the Squamish Nation. He is surrounded by carvers who are constantly challenging and encouraging him to make the most of his talents. His art has been growing rapidly thanks to these teachers and his commitment and dedication to his work.